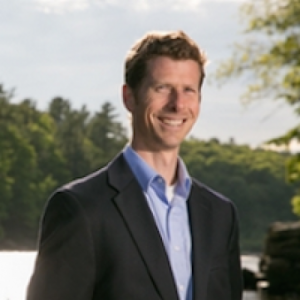 His research focuses primarily on water resource management, and some recent projects have addressed taxation of water consumption, the roles of federal regional offices, stream protection under the Clean Water Act, policies to expedite dam removals and hydropower upgrades, and the intersection of groundwater use regulation and the takings clause. 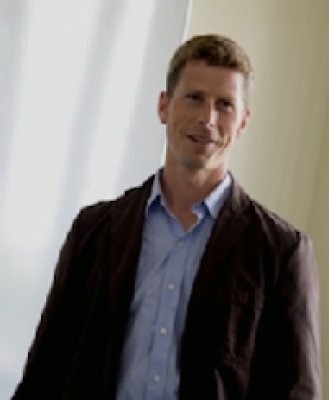 Four of his articles have been recognized by his peers as among the top environmental law articles of their respective years; another article has won the Morrison Prize as the top sustainability law article of its year, and he has presented three articles at the Harvard-Stanford-Yale Junior Faculty Forum. He also contributes frequently to the Environmental Law Prof Blog. In his spare time, Professor Owen was once a passably competent ultimate Frisbee player. Now he mostly runs on trails, a bit slower with each passing year, and coaches soccer. He lives in Albany with his wife Megan, a pediatric occupational therapist, his two children, and a dog named Steve. 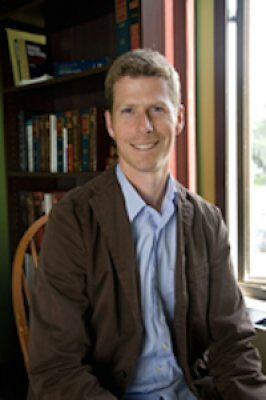 Professor Owen's recent paper "Trading Dams", coauthored with The Nature Conservancy's Colin Apse, received the first annual Morrison Prize for sustainability research. The Morrison Prize, sponsored by Arizona State Law School, "seeks to recognize the most impactful sustainability-related legal academic article published in North America during the previous year." 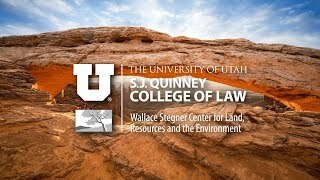 The Land Use and Environmental Law Review, a compilation of the top environmental and land use law articles of the preceding academic year, has republished Professor Owen's article "Mapping, Modeling, and the Fragmentation of Environmental Law" (2013 Utah L. Rev. 219). The Land Use and Environmental law Review, a compilation of the top environmental and land use articles of the previous academic year, has republished Professor Owen's article "Regional Federal Administration" (63 UCLA L. Rev. 58). UC Hastings has given the 2017 Rutter Award for Teaching Excellence to Professor Owen. This article considers how water consumption in the United States is and should be taxed. It reviews the few federal and state tax code provisions that directly target water use and the somewhat larger number of provisions with indirect implications for water policy. It also draws upon existing literature on tax policy, water law, and water economics to evaluate whether taxation of water consumption makes sense. use should be taxed. 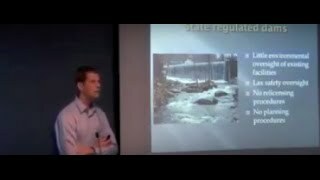 The reasons are similar to commonly-cited justifications for carbon taxes and other so-called Pigouvian taxes: taxation would encourage more efficient water consumption, decreasing the negative environmental and energy consequences of water overuse and alleviating conflict among competing users. Taxation also would raise revenue, which could fund badly-needed water infrastructure and governance or reduce the need to tax more socially desirable activities. Conventional accounts of federalism and administrative law generally assume that the federal government is highly centralized in Washington DC. Judges, politicians, and academic commentators often speak of “bureaucrats in Washington,” and they often contrast the poor governance supposedly provided by those bureaucrats with more responsive, innovative, and democratically legitimate governance from states and municipalities. Beyond pejorative rhetoric, assumptions about federal centralization also lead to a variety of widely-accepted policy prescriptions. This Article questions that conventional wisdom. Using a detailed study of the United States Army Corps of Engineers’ regulatory program, it demonstrates that geographic decentralization within the federal government is a real and important phenomenon. That decentralization has implications cutting across the fields of federalism and administrative law. It undercuts conventional wisdom about the relative advantages and disadvantages of state (and local) and federal governance. It offers nuance to theories explaining how a federalist system actually functions. And it offers new possibilities for policy reforms designed to promote innovative, responsive governance. In 1972, Congress passed a statute whose text offered sweeping protection for waterways across the nation. In theory, those protections extended to little streams. Actual practices were different, not just in the 1970s but also well into the 1990s. But over the past twenty years, small streams have become a central focus of regulatory protection, with the extent and type of those protections continuing to evolve to this day, and with additional changes still possible. The future of that evolution is uncertain, and it may hang in the balance; Congress, the incoming administration, or the courts could nip much of this progress in the bud. But so long as it lasts, the story of little streams illustrates the continuing ability of environmental law to evolve and change, and the incremental—and often unnoticed—ways in which those changes occur. Over the past forty years, environmental trading systems have emerged as one of the primary innovations of American environmental law. In fields ranging from climate change mitigation to wetlands protection, regulated entities now may proceed with otherwise proscribed activities in return for providing extra protection at some other place or time. At their best, these trades achieve environmental goals while increasing flexibility and lowering the economic costs of regulation. In practice, that promise has not always been achieved, and the emergence of environmental trading systems has at times been quite controversial. But they have become increasingly pervasive. This Article considers environmental trading in a new context. The United States contains tens of thousands of dams, and these dams have drastically altered river systems. While many of these dams also provide important societal benefits, a major reconfiguration of America’s dams would greatly improve those dams’ collective balance between benefits and harms. To date, that kind of major reconfiguration has not taken place. But a restoration project on Maine’s Penobscot River illustrates how trading might create such change. By exchanging reduced environmental regulatory constraints and increased energy generation in some locations for dam removals and other environmental improvements elsewhere, the project will create major environmental improvements without any loss of hydropower. Using that project as a model, this Article analyzes how trading systems might facilitate better reconciliation of the positive benefits and negative impacts of dams. Our conclusions are qualified; while we argue that trading systems hold promise, applying them to dams will not be easy. Nevertheless, the concept is worth pursuing, and we offer a series of legal reforms to that end. More broadly, the analysis illustrates both the promise and the challenges that face environmental trading systems as they continue their expansion through the field of environmental law. In February, 2012, in a case called Edwards Aquifer Authority v. Day, the Texas Supreme Court held that landowners hold property rights to the groundwater beneath their land, and that a regulatory restriction on groundwater use could constitute a taking of private property. The decision provoked strong reactions, both positive and negative, throughout the world of water law, for it signaled the possibility of severe restrictions on groundwater use regulation. This Article considers the deeper issue that confronted the Texas Supreme Court, and that has confronted other courts across the country: how should the Takings Clause of the Fifth Amendment, and parallel clauses of state constitutions, apply to groundwater use regulation? Initially, this Article explains why this issue is exceedingly and increasingly important. It then reviews all of the groundwater/takings decisions from federal and state courts in the United States. Finally, the Article considers the implications of foundational property theories for the application of takings doctrine to groundwater use. The analysis leads to several key conclusions. Most importantly, it undermines arguments for granting groundwater use rights heightened protection against regulatory takings. Recently, litigants and commentators skeptical of government regulatory authority have widely advanced those arguments. But they find no support in past groundwater/takings caselaw, and no property theory justifies adopting such an approach. That does not mean that groundwater use rights should not qualify for constitutional protection. Despite some recent arguments to the contrary, such treatment is grounded in precedent and is appropriate. The Article therefore concludes that application of a relatively mainstream version of takings doctrine, which treats groundwater rights as property but allows substantial government regulation of groundwater use, is both the most traditional and the most theoretically justifiable approach. This course focuses on statutory interpretation, the roles of administrative agencies in American governance, and the laws and policy concerns that govern administrative agency activities. 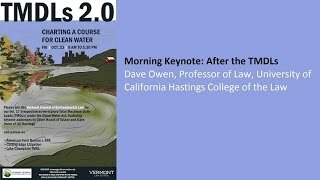 This course surveys the field of environmental law. We will focus on major statutes regulating water and air quality, hazardous waste management and cleanup, and environmental impact assessment, and will use those statutes to discuss various approaches to environmental regulation, intersections between environmental, administrative, and constitutional law, and the roles of different governmental branches, regulated industry, non-profit advocacy groups, and private citizens in environmental governance. Climate change will be a recurring theme of the course, and we will consider potential regulatory approaches for addressing climate change. This course examines governmental regulation of land use. It examines planning, zoning, permitting, and the other mechanisms that government uses to control (and, sometimes, encourage) land uses, and it examines legal doctrines that protect property owners from government regulation and community members from the impacts of development. The course also involves close attention to the questions of politics, economics, and social justice that intertwine with land use law.